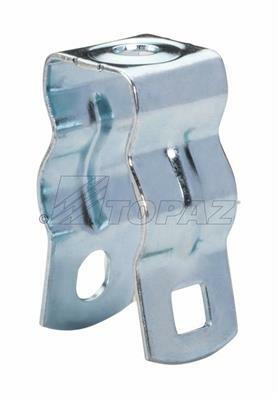 Topaz conduit hangers without nuts and bolts securely connect EMT or rigid conduit directly to mounting surface. For indoor and outdoor use. Available sizes from 0 to 9 support rigid and EMT conduit sizes 3/8”-1/2” to 4”. 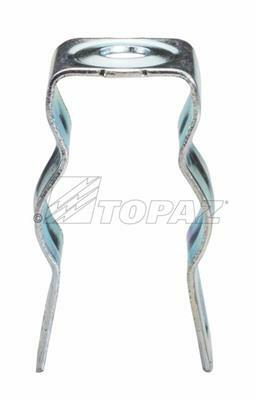 Fabricated from strong and long lasting steel with zinc plating; UL listed.